Enjoy the fantastic winter with beautiful snow in Akita. Snow festivals in Akita prefecture 2019. Inside the Aoyagike samurai manor there are many photo shooting spots with Kimono like the beautiful Japanese garden and a pond, store houses,Maccha tea house and a shrine. GUIDED TOUR with Virtual Video! Aoyagike main house was opened to public for the first time this spring. In order to preserve this 200 year old historic site, it was not available to public for a long time. With a story of Tomi, the wife of the final head of the Aoyagi clan, please enjoy our English video tour inside the cultural property. Main house tour fee: 500 yen per person /Duration 15 minutes. Aoyagike Samurai Manor Museum has six galleries to explore, in addition to a beautiful garden in the total area of almost 10,000 square meters. Free experiences, Tea rooms, Antique markets inside. 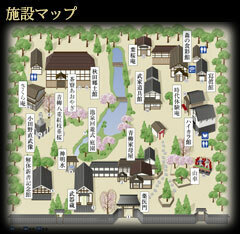 Enjoy Maccha green tea at our newly opened Tea house "Saryo Aoyagi" in Kakunodate Aoyagi Samurai Museum.